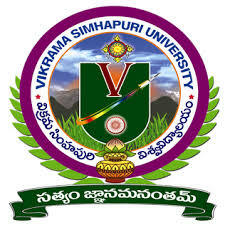 VSU Degree Results Oct 2018: Vikrama Simhapuri University UG 1st, 3rd, 5th Sem & 1st, 2nd 3rd Year Results October 2018 are available at simhapuriuniv.ac.in, Manabadi, Schools9. Students can check their VSU UG 1st sem results, VSU UG 3rd sem results, VSU 5th Sem results below. Vikrama Simhapuri University has announced Degree First, Second, Final Year Results October 2018 at www.simhapuriuniv.ac.in. Students may check their result by using hall ticket number from links given below. (1) Revaluation /Personal identification Last Date: 14.02.2019. (2) Fee for Revaluation at Rs. 450/- each paper for Personal Identification at Rs. 500/- each paper. (3) Candidate should submit Online Applications for Revaluation through Principal of the Concerned College Only. No Manual Revaluation Applications Accepted. (4) The Provisional list of numbers furnished above is subject to verification. For exact results refer the marks statement to be issued shortly. (5) University is not awarding any Ranks. Vikrama Simhapuri University: Nellore, came into being, fulfilling the long-cherished dream of the people of Nellore district, re-christened Potti Sriramulu Nellore district since 2008, by G.O.Ms. No. 89, Higher Education (U.E.II) Department, dated 25.06.2008. This GO makes history in the field of Higher Education in Andhra Pradesh since it paves the way for the establishment six new Universities in six districts in Andhra Pradesh. Vikrama Simhapuri University, Nellore, in its seminal role as a higher institute is grooming the careers of the youth to create a think-tank of resourcefulness for macro stakes in nation-building. The University is currently offering eleven courses keeping in view the resources of the region and the employability of the graduates. The University was established by Act No. 29/2008 enacted by the Legislature of the State of Andhra Pradesh on 25th June 2008. It started offering six Postgraduate courses of contemporary relevance from August 2008. Research programmes leading to the award of the Ph.D. degree have been launched on 29.08.2010. Sir ,i want 2013 degree first year results , please tell how to open that sir.